Are you unsure about whether you should buy a surge protector this winter? If you’ve spent a lot of money on the electronics in your home, risking it all by forgoing the right protection can be a costly mistake. The winter months bring with them an array of storms capable of rendering entire neighborhoods powerless. With all these outages, power surges are a common occurrence during the coldest time of the year. As our electronics become more advanced, their costs go up as well. Power surges can destroy even new equipment, and no one wants to replace something they only just purchased. 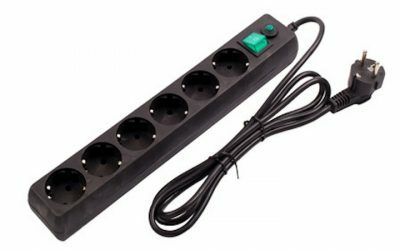 You need to buy a surge protector if you intend to avoid risking your household electronics this winter. What Causes Winter Power Surges? ● Storm winds force different wires to contact each other. ● Increased heat consumption leads to rolling blackouts. ● Fallen branches conduct energy between the various wires. What Surge Protection Options Are Available? Surge protectors at outlets might be a common sight, but they aren’t the only level of protection available to you. Protection for your entire house is possible on two different levels. You can have surge protection set up between the power lines and your home and also between your breaker box and the electrical meter. Any surge protection will be an improvement, but having more than one level of protection will go a long way toward keeping your appliances safe from harm. Regardless of how many levels of surge protection you opt for, grounding issues can render all of it useless. Protectors deal with a surge’s excess voltage by distributing it through the ground. As such, it’s important to check your home for potential problems before installing surge protection measures. Even total home protection is much cheaper than what you would pay to replace your expensive electronics if a power surge destroys them. Overall, you have little to lose by making this investment. At Bryan Electric, we can help you keep your home and its electronics safe from power surges. For more information on why you should buy a surge protector, or for guidance regarding whole-home protection options, give us a call at (770) 680-2144 today! We’d be more than happy to answer any questions you might have, so don’t hesitate to pick up the phone.